Do you ever tried testing of real time charts in your Amibroker Software. If not then try start with MT4 Plugin for Amibroker to analyse live forex data. Hello--Raj--I am waiting for your response--should I ignore this rateserver.exe virus/malware-Trojan Type warning & go on to install it in my system--Please confirm. click exp.mqh and compilecouldnt find this!! i m not able to configuire meta trader to amibroker. i do whole process, all things is correct but script not added in rateserver task tray. I am running windows Vista 64 bit with Amibroker 5.2 Professional . I installed the plug in as instructed with no problems. What I did notice is that when I checked the database settings configuration area the server information was blank with a port setting of 1950. All the plug in will do is show “wait” upon starting then no change. I then try to “connect” with the server but it then reads error. Can you help? Can this work in windows 7 system? i m not able to configuire meta trader to amibroker. i complete the whole process, all things is correct but script not added in rateserver task tray. Will this also send trades to MT4??? sorry for another comment, plugin status is not visible in amibroker, when i hover around plugin status area, it say no status available. entercommond dena hai waha per kya likhna hai ki window open ho….? I have followed the entire process mentioned for MT4 but not able to connect the. how reliable are harmonic patterns for intraday trading ? The drawback of Patterns is that they get extended as the price rise or fall further after the pattern has been made , be it a 5 min, 15 min or hrly chart . For eg. a bearish pattern is made at 5900 nifty , but as nifty extends further to 5940 , the pattern does not change but the pattern gets extended . Any way out in such a case ? Hi, I’m not very computer literate, I couldn’t enter and save the DOS commands. I’m running Vista, could anyone tell me the exact step by step way to enter and save them? I tried the plugin and i completed all the steps.However when i click on the symbol in ami it doesnt show me any chart.It is showing not enough data available. I just want to see intraday charts. Actually finally i got the data but the data is only coming for USDJPY rest any symbol i tried, data is not coming for them. Ravi if you are using Windows 7 then the plugin might not work. I tried with win XP machine its working fine. I have followed all the steps above. But when i tried to connect amibroker between meta with timeframe 15 minute, it couldn’t work. Could u help me Sir? Sir is it possible to convert MT4 indicators to AFL for amibroker ? if yes, then pls provide me… I want DODA-STOCHASTIC. and I want ring alert window if any buy or sell signal generate for any commodity/nifty..
Only those who have good programming & analystical skills can do this. There are no auto tools to convert from mql4 to amibroker as of now in the market. AS I ADDED FEW SYMBOLS BUT THESE SYMBOLS CHARTS ARE NOT SEEING IN AMIBROKER…. Sir, Only EURUSD is updating prices but others like Comex Gold or Silver prices are not updating in Amibroker….. Please Help me…….. Except EurUsd other scrips are not updating in AMibroker, please help me………. Sir, i have the same problem with kamal. i only see the connection OK, but NO candle stick appear on my amibrokers. finally it’s working. in symbol, just type EURUSD. and set your database setting with your timeframe. @Rajandran …… I am using Windows Vista 32 bit. Does MT4 to Amibroker Plugin support Vista platform ? What i observed is that data sometimes comes in Amibroker but then suddently MT4 hangs or gets closed. Is there any specific change required. Sometimes data is downloaded sometimes not…. I am not able to find out the exact reason for the problem. Thanks for offering this plugin. Do you have plans to write a 64 bits version of your plugin? I have followed the complete steps. After adding the symbol in Ami, i clicked on the plugin and changed it from waiting to connect. For a moment it shows “Conneced , ok” then immediately goes into “Err” mode and displays a message saying that “Plugin status disconnected”. All my settings are correct. Please help how to get this corrected in Amibroker as i am getting plugin disconnected status. Moreover, the quotes are not displayed in rateserver. how can i import real time data from nest trader to amibroker ?????????? Do you have any mt4 indicator for which you are charging fees and not available on your blog for free? if yes, please provide details for the same. Awaiting your response in this regards. i cant able to complete after doing the process. Hello sir. I got the chart. but it is not being updated. It is not running. Do you have any idea about this. I mean what kind of problem it is? i have done all the process said but the data is not streaming. Will it be possible to download 1 min. historic data from MT4 and continue with live data from that point. e.g. If I download .csv files from MT4 for October month till last 1 min back and continue from that point. Will the live data, will it show chart properly? Plz Sir .Need your help. Getting this error and result MT4 Crash. 2012.11.14 10:55:04	exportFB NZDUSD,Daily: function ‘SetRateArray’ call from dll ‘exp.dll’ critical error e06d7363 at 7C812AFB. 12:33:54 exportFB NZDUSD,Daily: function ‘SetRateArray’ call from dll ‘exp.dll’ critical error c0000005 at 7C9113F7. function ‘SetRateArray’ call from dll ‘exp.dll’ critical error c0000005 at 7C9113F7. is due to the new rev of MetaTrader 4.00 Built 445. It is possible to have the source code of EXP.DLL ? Can we connect MT4 and Excel. I want to import MT4 charts and indicators in excel. Is it possible. It works on any MT4 platform across any markets. is there any way to feed data to mt4 from ami..on real time data or real feed to mt4 chart? what problem it has ? can u help me out sir ji ? IT’S WORKING SUPERBLY IN WINDOWS XP…THANKS A LOT SIR . sir ji , i go through all setting as you given . but i cant back fill historical data . it show data from when i start my system . please tell me what to do . all setting is ok . rate change in live is correctly .only i can’t back fill historical data. waiting for you reply soon . im using mt4 demo version, and today the chart moving has been stopped. i restart the system but the chart is not moving. what should i do sir? Please update this plugin. It not working with Metatrader 6xx. 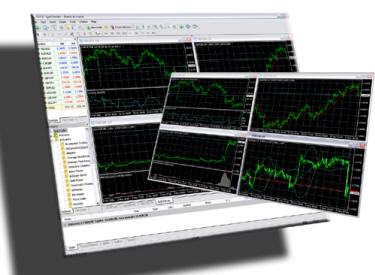 The MetaQuotes unveiled the latest update of the trading platform MetaTrader 4, Build 600. Because this information may Specialists Consultants (Expert Advisors -- EA) which use to be affected due to change language and change location specific folders . In order to avoid problems in the conduct of your commercial transactions , we recommend that you save your EA and Indicators in your new folder which is located in : XM MT4> MQL4> Experts / Indicators. Click on the Compile toolbar . You will see a confirmation message dialog Toolbox at the bottom. Once complete, please close and reopen the trading platform XM MT4. If you encountered an error, the EA should function normally. before this upgrade in MT4 i use this EA . it is easily working but now a days i cant get data in ami . dont know waht is problem , please help me out from this , so that i can get data in ami. and trade in forex . thanks in advance …………. Anybody using Market Profile trading technique ? have you followed it? Is this plugin being updated ? Does this plugin copy historical data too from MT4 to Amibroker? Or it only copies the live feed? are you going to update the plugin ? double&  within the mqh file fixed the error for me. After new release update of metatrader which changed expert advisor button to auto trading, the plugin is not working any more. Please advise. MT4D.dll needs a 64-bit version. I’m not trying to be wise, but is it really that hard to simply compile it for 64-bit? Thanks. Hi the same. Everything done, green connected and noe feed data. When it is possibility to upgrade it? i have seen this mt4 plugin for ami broker and to watch live data for comex. like that any mt4 plugin is available simply to take trades in odin or nest with id password in mt4 and do trades in mt4 will consider in odin or nest.. every one are asking huge amount for bridging software …. if any idea means please share .. i have searched more than one year but none are satisfied..